Handmade jewellery, clothing, craft work, food and wine – these are some of the items that will be for sale at the first Maties Marketplace event on Wednesday 21 August. Entrepreneurs trading under names such as Amy Rose Apparel, STITCH, Plankies, Truly Scrumptious, Ice cream Ninjas and Breakfast for Dinner will set up their stalls next to the RW Wilcocks Building and customers are welcome from 17:00 onwards. The 21 stalls will sell items such as “simple art on weathered wood ideal for residence rooms”, roosterkoek with a variety of fillings, premium ice cream, gourmet flapjacks, Maties Wine, hand-made and sterling silver jewellery as well as clothes and leather goods. According to JD Labuschagne, Junior business developer at Stellenbosch University, the Maties Marketplace was birthed from the vision of the Frederik van Zyl Slabbert Institute for Student Leadership Development (FVZS Institute) to provide a unique place where young entrepreneurs from the local community can start a business and trade on the premises of the University. These entrepreneurs will include students and young previously disadvantaged traders. “Entrepreneurship and entrepreneurial thinking is central to leadership in the context of South Africa and as such the importance for the FVZS Institute to create a platform where young entrepreneurs can gather and share their products and ideas. 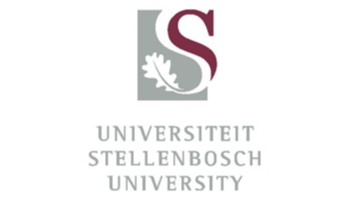 “This initiative is a means to foster social entrepreneurship within the greater Stellenbosch community. The Maties Marketplace’s short-term goals are to set up a market facility and offer entrepreneurs the opportunity to become profitable. The long-term goal is for the market itself to become profitable and sell products to the greater Boland community via online platforms,” explains Labuschagne. Potential entrepreneurs are students, staff members, local community residents (younger than 30), researchers who would like to display their work and Matie brand associates (Maties clothing, Maties wine). Potential customers include students and staff of SU, the local community and even tourists. “We are very excited about this idea and believe it can play a big role in bridging the gap between students and the community as well as stimulate entrepreneurship in the Stellenbosch area,” concludes Labuschagne. The Maties Marketplace will be hosted once a month. For more information visit the Stellenbosch University website.